One of the most rewarding things for The Barn staff is seeing one of our gorgeous weddings or styled shoots featured on a wedding publication. When something gets published that our team has worked so hard on, we know our hard work is really paying off! We are always THRILLED to see our beautiful Barn Brides (and grooms, of course!) and their stunning weddings in print or on popular wedding blogs. We've been featured many times over the past four years, by several different publications, and it never gets any less exciting! Last month, I posted about six places we've been featured, and here are a few more! We weren't a bit surprised when Ashley + Derrick's gorgeous summer wedding was picked up by 100 Layer Cake a few years back! This romantic, whimsical wedding had a fun color palette (shades of pink, mint and gold) and so many great details. We're still swooning over Ashley's amazing, HUGE bouquet! All the flowers at this wedding were so great. And their cake table is a must-see! Southern Weddings is kind of like the wedding Bible. If you've been in the pages of Southern Weddings (or featured on their fabulous blog), you can know that you've made it. We were SOOOO beyond thrilled to see a few photos from Kassie + Adam's wedding in a recent issue of SW. We are also honored to be a Southern Weddings Blue Ribbon Vendor, and we think they sorta like us. 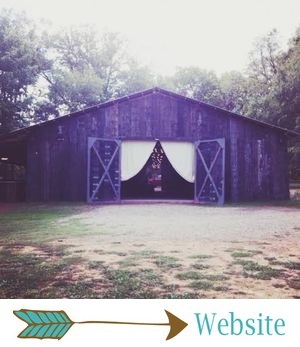 This is what they had to say about us: "You know all of those gorgeous barn weddings we feature? The Barn at Twin Oaks Ranch is the perfect place to hold a wedding just as lovely and personal. We so admire all of the love and hard work that went into recreating this farm for weddings!" This was another biggie! Our Winter 2012 styled shoot, styled by intern-turned-planner Victoria, was featured on Grace Ormonde Wedding Style, and we juuuuuust about lost it. Unfortunately, the link is no longer active, but just know that it was a big, BIG, thrilling, gratifying moment for The Barn! Katie + Joe's black and red rockabilly-themed wedding was unforgettable! It's still one of our most unique weddings to date. It had some super cool rock'n'roll-meets-pin-up-inspired details, including lots of polka dots, a tattoo station, pistols and a black wedding cake. The internet blew up over this wedding! It was featured on a few blogs, including Wedding Wire and One Lovely Day. We'll never forget this one!